God’s continued leading into the future. Launching of Journey Church, Clinton, Iowa. Member vote to change the Articles of Incorporation and church by-laws to reflect new name change. Vote passed and was accepted. Member vote to change name from The Evangelical Free Church of Clinton, Iowa to Journey Church, Clinton, Iowa. Vote passed and was accepted. New Journey Vision unveiled and church luncheon. Debt paid off. Many members continued to give well after the Debt Reduction campaign ended in 2002. Seasons of Promise fundraising campaign begins for 6+ acres of land for new building. A goal of $121,000 for land purchase is set; funds are raised in 14 months. The Evangelical Free Church begins with 16 Charter Members and 4 Honorary Charter Members. Messerli family hosts an open house at the parsonage on Camanche Ave.
Rev. Messerli travels from Coralville, Iowa each Sunday to serve as pastor. Two young women from the Bible Institute in St. Paul, MN hold children’s meetings in the afternoons. Sunday School started with Mrs. J. R. Baker in charge. Two weeks of special meetings held. 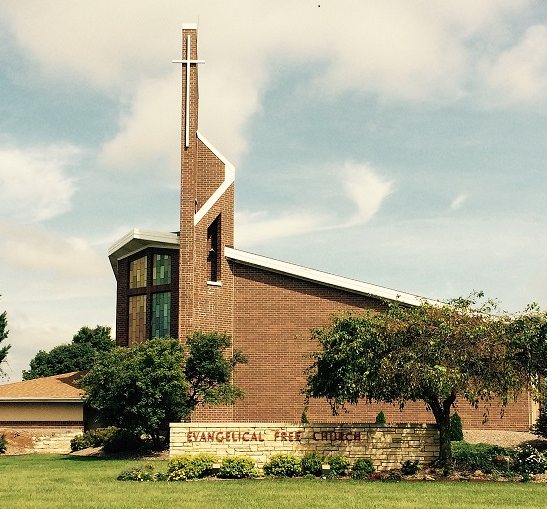 A building known as Chancy Chapel located at 113 21st Place is purchased by the District. visit Clinton, Iowa to start church work.